Home / Weight Loss / Real Weight Loss Stories / How Did Kat Murzl, A Cycling Instructor, Lose 40 Pounds? 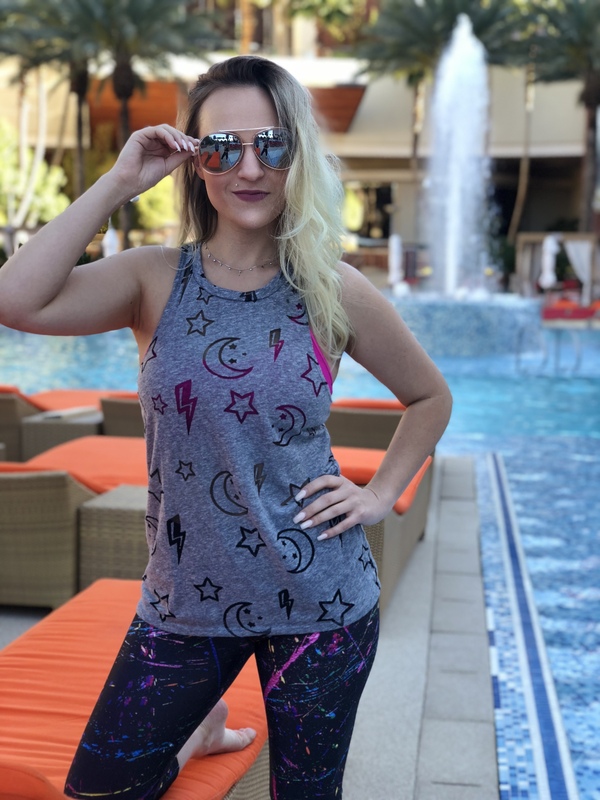 Kat Murzl, a cycling instructor at high-end RYTHMX studio in Las Vegas called XCYCLE, shares her incredible weight loss journey. You fitness journey began when you started teaching at XCYCLE as a cycling instructor and since there has been no looking back. What motivated you to embark on this journey? My journey truly started when I moved back to Las Vegas in February 2016. I had been living in San Diego for the last 6 years. It was a beautiful place but I wasn’t living beautifully. I was working 12 hour days, wasn’t happy, was always tired, and definitely lost a lot of my confidence. I knew something had to change. I found a job back home in Las Vegas and made the move. My goal was to start fresh, find myself again, find happiness in the day to day. I moved back, XCYCLE opened about 2 months later. I walked in with what I felt was zero to offer. But what I’ve learned in these last two years on this fitness journey is that I have so much to offer. As the weight started to fall off, my confidence was definitely boosted by the positive compliments. I feed off positive results, so as soon as I started seeing those results, I wanted more. I wanted to be my best. I realized I’d been living all the wrong ways – I was working to make money to pay for rent, to buy things vs to support myself in all the right ways. My motivation came purely out of wanting to find myself again. I’ve gone through some serious hardships personally the last few years and realizing that I am not a victim of my problems, but merely just a participant, is what sparked my motivation. I have always wanted to inspire, help, and motivate others in positive ways. Once I started teaching I realized I had found my passion. I found an outlet that would help me not only inspire, but truly impact the community and those I came in contact with in my classes. To me, that has always been my calling or the reason I am – to help, to support and inspire in ways that will truly make a positive impact on those around me. So when I found that through indoor cycling and teaching at XCYCLE, it truly lit a fire in my heart that had been missing – the fire that kept my motivation going and has ever since. This is one of those things that gets looked passed in my opinion. As a leader, an instructor, someone who is ‘here to inspire’ – I think sometimes people forget that we are just regular people. A huge part of how I have connected with my riders and so many people in the fitness industry, is by sharing my story and being 100% transparent about every struggle I was faced with or am still dealing with to get to that milestone moment. I have always struggled with anxiety. Panic attacks. Shortness of Breath. Shaking. I have good days and bad. When I got back to Vegas in 2016, my anxiety was at an all-time high and all I wanted to do was make it ‘go away’. One of the biggest milestones I’ve experienced was truly understanding that anxiety doesn’t ‘just go away’, kind of like fat (it doesn’t just go away after 1 workout). My fitness journey took me through good days and bad – the sweat, the hard work, the super long workouts. But what it taught me is that we all have to struggle, we all have to face challenges and difficult moments, in order to get stronger – whether that is physically, mentally or emotionally. It works the same for all the above. We have to put in the work, we have to struggle and challenge ourselves and face those things we might not want to face, in order to get stronger. Sweating through a crazy workout and not stopping when all you want to do is give up, strengthens you – mentally and emotionally. When I finally accepted the fact that I have to put the same work into my mental state as my physical state, my results drastically got even better. My outlook on everything changed, and not just about my body. Everything started to look better, everyday situations that caused me anxiety, slowly started to be less stressful. The work in is extremely difficult and so many people don’t want to do that work, but to me that is the most important. If you can give your mind and heart as much effort and hard work as you give your physical body, your perspective will change and in turn so will your body. I currently teach anywhere from 6 to 12 classes a week at XCYCLE. And although I’m definitely breaking a sweat and burning calories, I am getting on and off the bike. Not that calories are the only thing that matter, but it’s also a lot harder to burn calories now, than it was when I was 40 pounds heavier. I burn anywhere from 350-600 calories during a 45 minute class now. I’ve also added yoga to my regime. I was never a yoga person, and honestly the idea of ‘stretching in silence’ scared the living hell out of me. When anxiety is heightened, silence used to be my enemy – now, it’s one of my favorite things. Yoga has truly helped change my mind and body. I try to take about 1-4 yoga classes a week. I also am just a very active/outdoor and competitive person at heart, so I love to hike, run, walk. On weekends, I love to go for a hike if I have the time or jump in for an extra yoga class. When I initially started this journey, I was teaching about 3 to 4 classes a week. That is all I started with and the weight started to shed. After about 5 months and losing the first 25 pounds, I began training with a boxing coach. We trained about 5 days a week for an hour to 2 hours. I’ve had a torn labrum in my shoulder for years and boxing was the first thing I realized I could do without pain but still building up all my arm/shoulder muscles. I did that for about 3 months and my body completely transformed. I stopped training and that’s when I gained some of the weight back, I started eating 1 too many cheat meals and gained about 20 back. Once I decided to get back on track again in November 2017, that’s when I added the yoga and a lot more cycle classes to my schedule. I’m a huge advocate that everyone is different and no particular food that might work for me, will work the same way for someone else. I think truly putting in the work to see what works and what doesn’t, is so important. For me, I’ve learned that I’m just not a morning person, I don’t like eating when I wake up, it makes my stomach hurt. I try to drink 2 glasses of water and I’ll usually have coffee or tea between when I wake up and about 2 to 3 hours. When lunch time rolls around, I reach for big healthy salads with tons of different vegetables, maybe some salmon with veggies or if I’m feeling a little carbs, I’ll eat a mediterranean style sandwich with tons of veggies inside. I’m not vegan but I don’t eat dairy and I don’t eat chicken. I’ll occasionally have a bite of someone’s steak and I’ll even eat a burger once in a while. I’m all about not depriving myself. I won’t ever be the person that gives up dessert or carbs or butter, but it’s all about moderation. It’s okay to have one girl scout cookie after my healthy dinner, as long as I don’t eat the entire box. That goes the same for ‘meals’ for me. I think as Americans were so accustomed to huge portions and giant plates at restaurants but go anywhere else in the world and that’s not the case. I am the slowest eater you will ever meet. I will get my lunch at 1pm and sometimes it will be on my desk/table till 3pm because I slowly munch. I like to enjoy the food as fuel and not scarf it all down. Because I eat slow, it helps me never feel super hungry. I teach classes at night for the most part so I can’t eat right before class. I’ll grab dinner right after. It’s usually similar to my lunch choices, some sort of fish, maybe a burrito bowl with lettuce, beans, tofu, salsa, or another big salad depending on what I’m craving. I’ve learned to listen to my body, so if I’m craving salmon, sometimes I’ll eat salmon for lunch and dinner three days in a row and sometimes I’ll eat salads all week. Then on Sunday, I’ll eat a burger. Just depends on how I feel. As for snacks, I love almonds, cashews, fruit, and smoothies. This year my goals have come full circle. After being on this journey now for two years, I’ve truly realized that you cannot just focus on one thing and let the rest go downhill. It’s all about balance. Balance is different for everyone but if you can find your balance, you will succeed. One goal this year is to continuously grow – psychically, mentally and emotionally. Every single day. I want to work on me everyday. I am extremely transparent about my current state (emotionally and psychically). More specifically though, I have some really dark experiences that I’ve buried deep down and have never spoken about until last year. I want to bring those to the surface, learn how they have affected my current life, my moods, my energy and my behavior – then adjust that. Work at it. Find ways to grow from those experiences and instead of hide those experiences from myself, use them to motivate me even more and help inspire others. I know that by bringing some of those to the surface, it will help inspire myself and so many others on their fitness journey, which is always a goal of mine. I want to continue to inspire daily as well. One thing I’ve learned about the fitness industry is that there are so many people that jump in for the ‘looks’ or because they just want to say they’re a part of this industry. I jumped into it with zero looks to offer, I was overweight and unhappy, but I had one goal & that was to turn my life around for the better and in turn help others do the same. That goal has never changed and I don’t think it will, it only gets better and stronger. I want to be someone in this industry that truly makes an impact – not just on people’s physical health, but their mental health as well. Mental health is so stigmatized and luckily it has been brought to light more recently by many people, but there is still such a long way to go. Working out, riding a bike in my class, and sweating are amazing for our bodies – but also for our minds. I would love to spread my motivation/inspiration to people outside of XCYCLE this year, to people outside of Las Vegas, to anyone that might need it. There is so much bad going on in the world, so if I can help bring a little good to it by inspiring others to be better and to just be, I’ve reached my goal. I want to change the world. I want to inspire. I want to never stop growing. It’s May and 5 months into the year, I think I’ve done a pretty good job at chasing that goal so far. The biggest thing to remember is that losing weight is never going to work with a quick fix or hard strict diet because if it’s not something you can see yourself sticking to for the rest of your life, that weight is all going to come right back. So taking steps to make it long lasting are what is so important. 1) First step is always WRITE down your goals. Write down how many pounds you want to lose. Write down if you want to tone your legs, get stronger arms, etc. 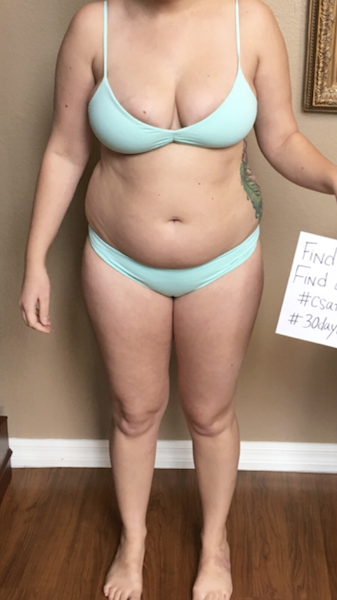 Be specific about pounds, about timelines, etc. Broad goals at the beginning are what scare a lot of people before they even get started. So give yourself the time to sit, think, make your goals specific to start. Maybe it’s lose 10 pounds in one month and lose 50 in 6 months. Once you’ve decided and written it down, write it in other places. Put it in your phone notes, put it on sticky notes, put positive reminders of those goals in places where you’ll want to see them. 2) Look at your diet and start with the basics. Cut out the really bad stuff. If you are eating fast food or ice cream every single night, figure out how you can adjust that habit in a healthier way to your lifestyle. Maybe it’s still picking food up for dinner but at healthier pick up restaurants that you can order take out from. Maybe it’s adding vegetables to your diet. Aside from mental health, nutrition is the most important step in losing weight. You have to feed your body fuel. Try testing out different foods for a week, see how you feel when you are or aren’t eating that specific thing. If you notice that every time you eat cheese, your groggy in the morning -maybe try cutting cheese out. See how you feel in the morning. You’ll start to realize what truly fuels your body in positive ways. Eventually your body will start to crave those things instead of the bad junk food. 3) Exercise routine. Make this realistic. If you have never worked out before, don’t say you’re going to run every single day for 2 weeks straight. Start with a jog 3 times a week, then each week you add to that. You will still feel accomplished and you will slowly realize you can build on those results by improving times or amounts of workouts per week. Find what works for you. If you don’t like to run, don’t run. I highly recommend trying out a bunch of different gyms (most gyms offer a cheap first week or trial run). See what type of exercises work for you. I fell in love with indoor cycling and boxing. Some people like Pilates. Some people like dance classes. Just do what you love and then the workouts won’t feel like a chore. Just like the nutrition, your body will eventually begin to crave that feeling you get when your done working out – your body will want that endorphins kick. 4) Find what inspires you. Mentally & emotionally. If you are on a journey to lose weight (this is the hard part), you have to dig deep. Think about why you got to where you are at. Why did you gain that unwanted weight. Did you just go through a drastic life change, did you move, change jobs, did you get in a new relationship. Finding the cause will help you refocus mentally. Then you can begin focusing on all the positive things. Take pictures of things that inspire you and will help keep you motivated. Surround yourself with likeminded people. If you are around negative people, that negativity will weigh on you. Put yourself in good environments and you will strive. If you start to feel a lack of motivation, look around, look within, find what inspires you. Remember the goals you set and why you set them. Just always remind yourself of what is inspiring you and the physical part will become habit. 5) Celebrate the small victories. Last and most important step to follow through on always. You have to celebrate. You have to give yourself credit when credit is due. If you stuck to your nutrition goals and exercise goals all week, pat yourself on the back. Buy yourself a new sports bra to wear next week while you crush your next set of goals. It’s okay to have dessert at dinner that night because you want to celebrate – just don’t do that every single night. Just like celebrating the small victories is important, you also have to let go of the small bumps in the road. If you slip up and eat awful for 3 days and don’t workout, that’s okay. Just go back to step 1 and start again. You can’t lose 50 pounds in 3 days, you also can’t gain 50 pounds in 3 days. Just remember that and step forward. Remind yourself that your human and it’s okay to have those moments as long as we get back to chasing our goals. So celebrate the good, don’t fret the small & you will reach that goal. You will lose that weight & you will feel so good doing it.